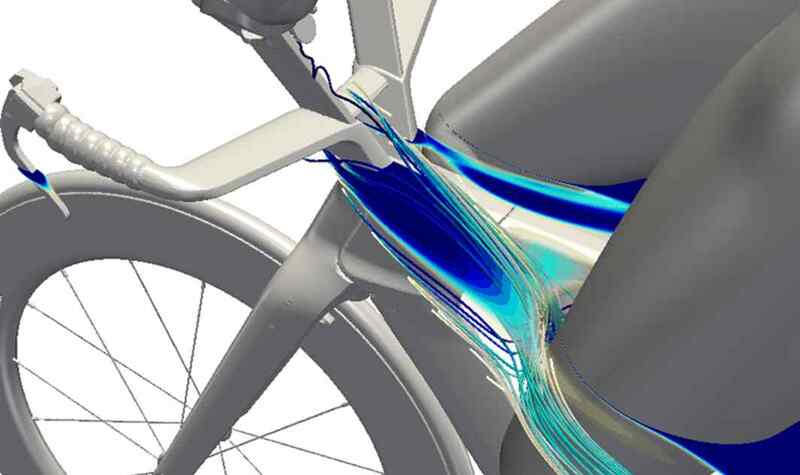 We thoroughly researched the airflows created by calipers and rotors through CFD modeling in order to No dots behind every sentence their impact the on aerodynamic performance. 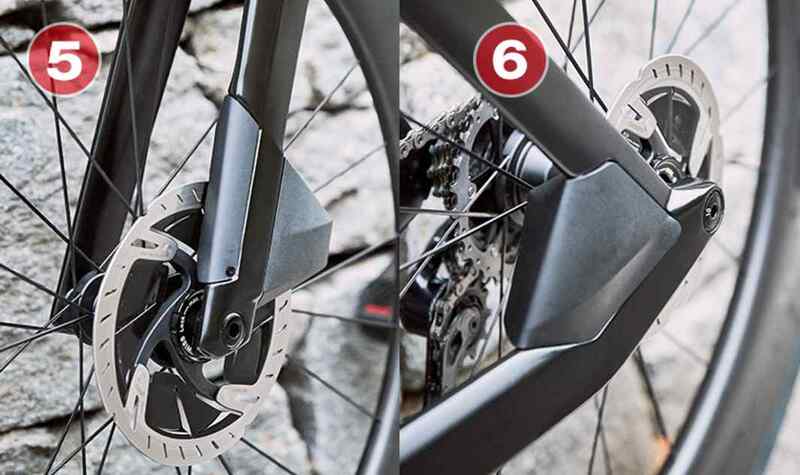 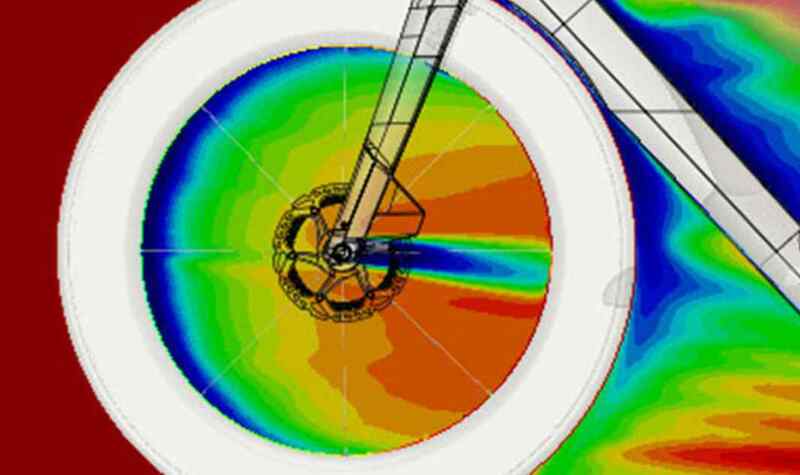 We soon realized that disc brakes and rotors can greatly impact aerodynamic performance when no specific solutions are adopted. 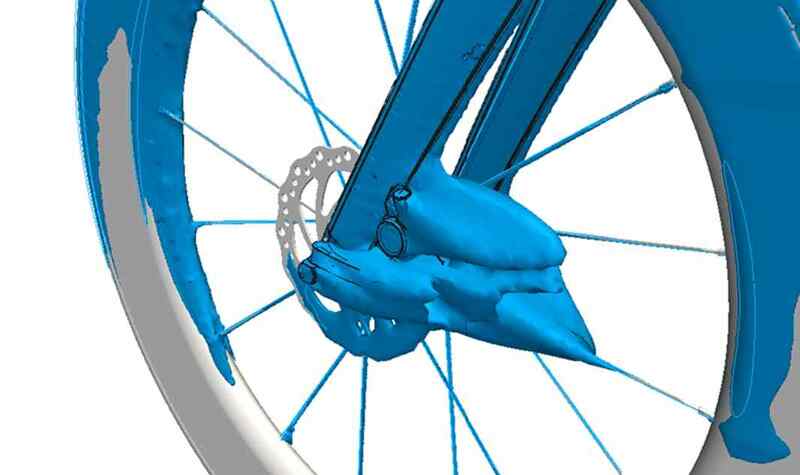 We designed aerodynamic caliper covers to optimize the airflow around the disc brake calipers and minimize the impact on aerodynamic performance. 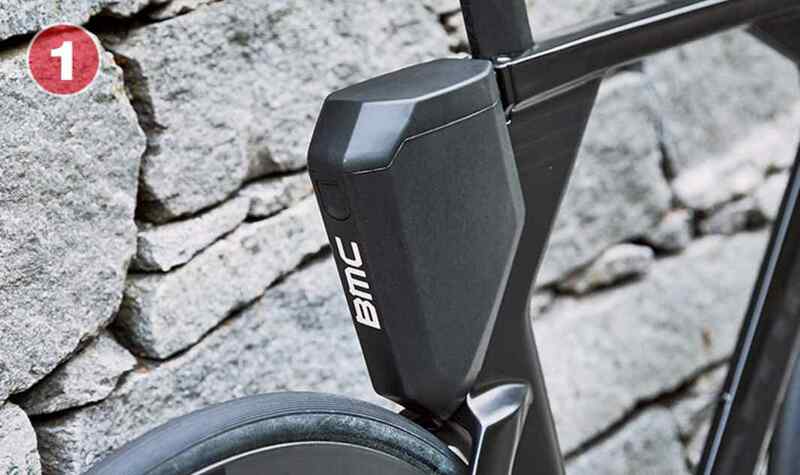 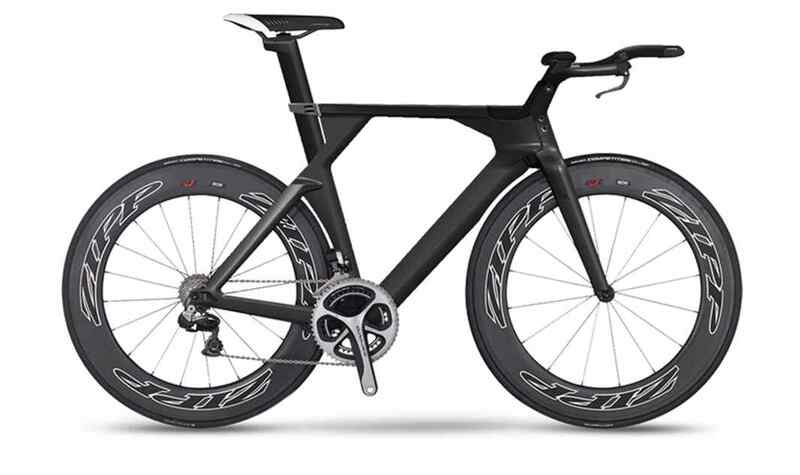 The result is the aerodynamic performance of our Timemachine with the benefits functional integration of disc brake technology. 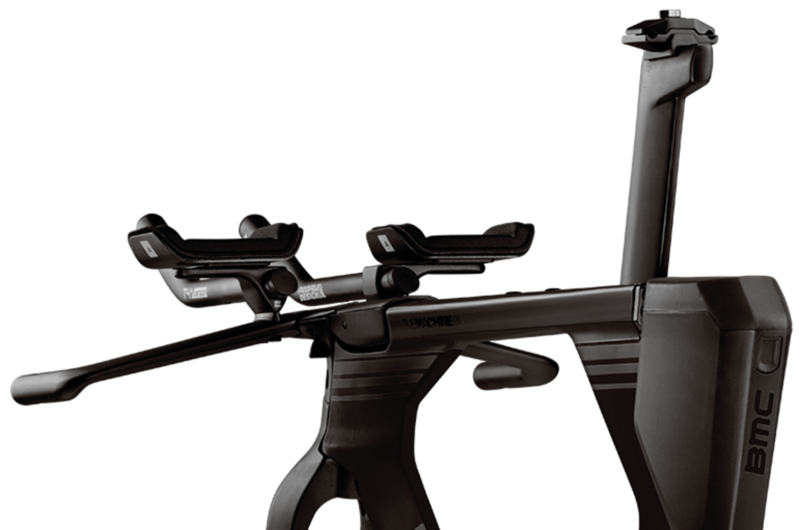 The V-Cockpit offers optimal aerodynamic performance for taller pad stack dimensions, while the forward-offset promotes vertical compliance, a state-of-the-art blend of high-performance and comfort. 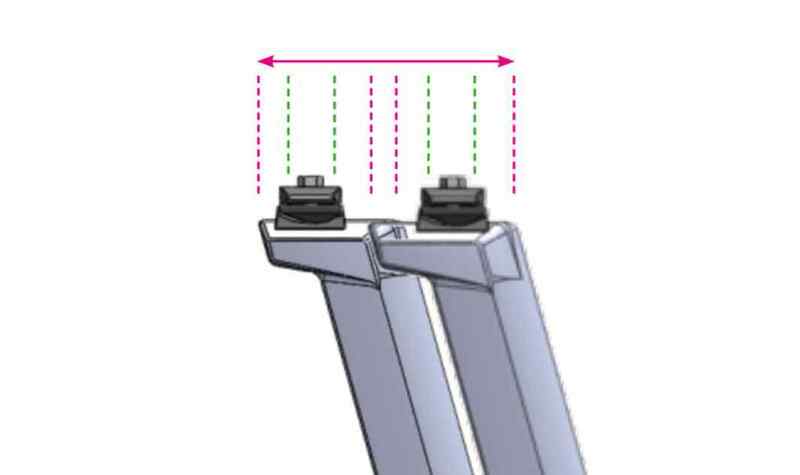 The fully integrated 3rd generation hinge-fork ensures a lean frontal profile. 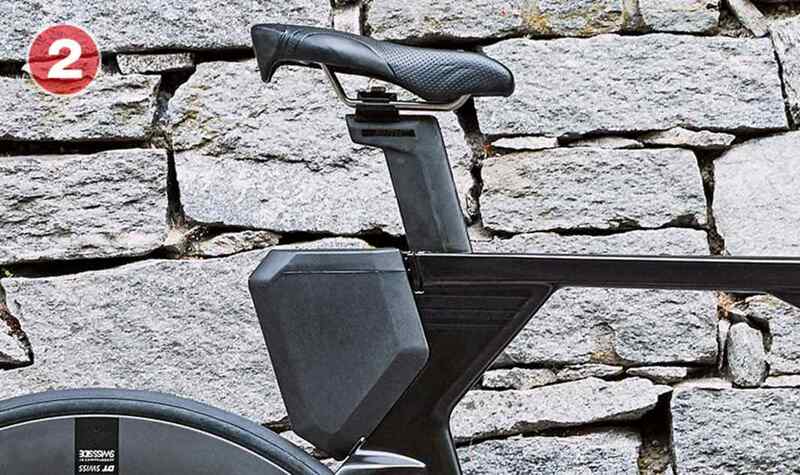 While the cockpit mounting system promotes both form and function. Because free-speed is the name of the game, the new Timemachine’s frontal profile is a narrow and seamless engineering marvel. 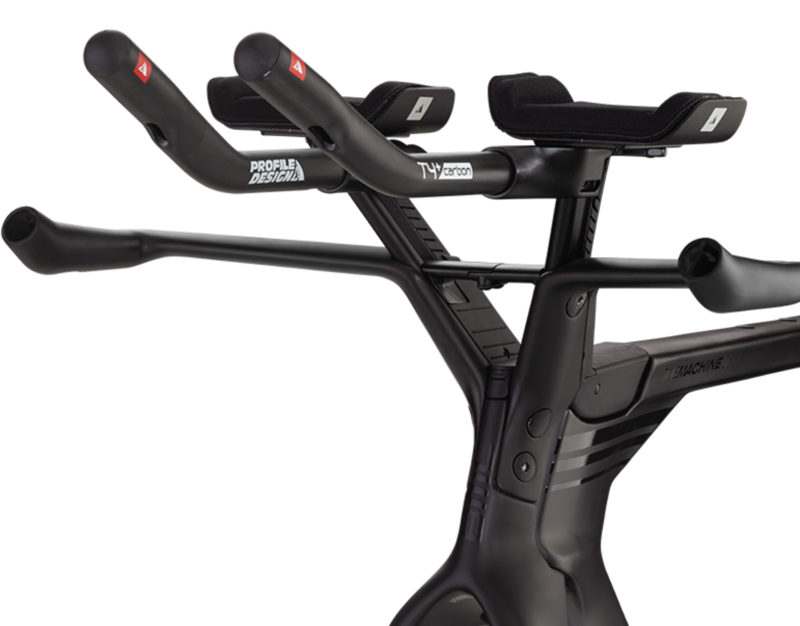 The Flat-Cockpit offers the maximum aerodynamic advantage, allowing riders the lowest possible pad stack configurations. 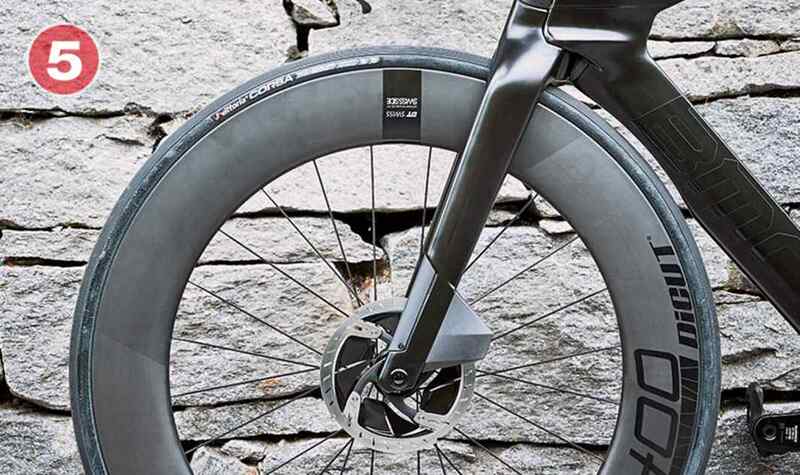 The newly revised SubA concept summarizes our aerodynamic advantages: 3:1 tubes with truncated profiles, crosswind-stable tube shapes, hinge-fork design, a super-lean frontal area and maximum integration overall. 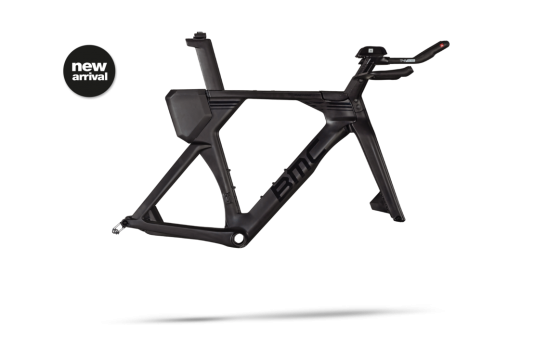 Combined with our Position-to-Perform (P2P) rider-position system, this machine is all about free speed – for long course triathlon, time trials or solo efforts in wind-swept terrain. 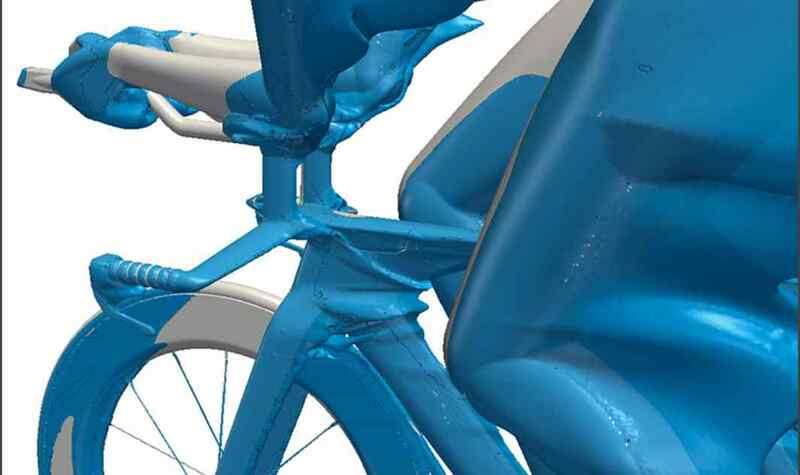 To develop the most accurate Computational Fluid Dynamics (CFD) model, highly precise mesh generation is key. 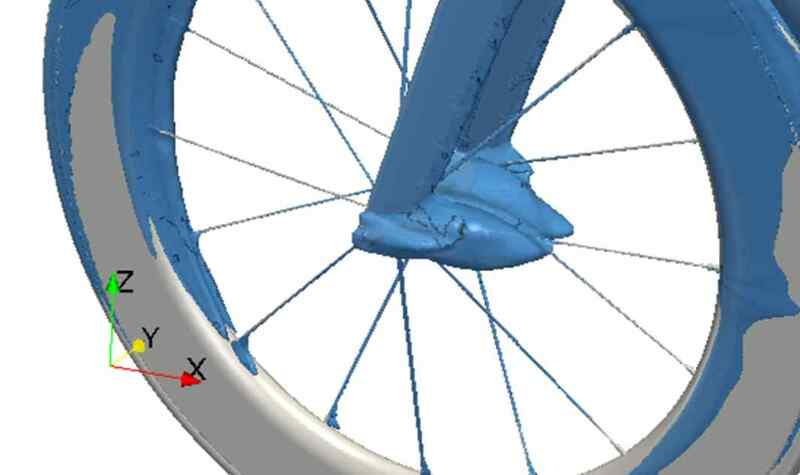 Each intersection of mesh is a point that will be used for measurement. 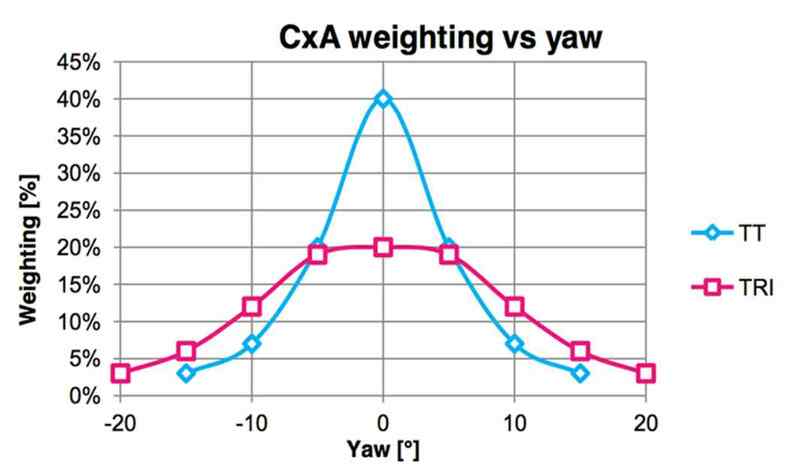 Due to differences in average speeds in triathlon and time-trial performances, weighting of yaw angles is important to develop accurate, discipline-specific results. 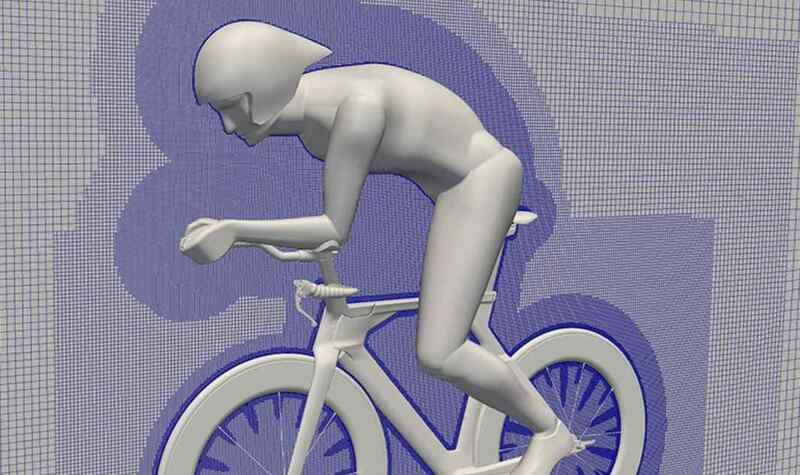 Including both the rider and the appropriate position are critical to real-world aerodynamic performance. 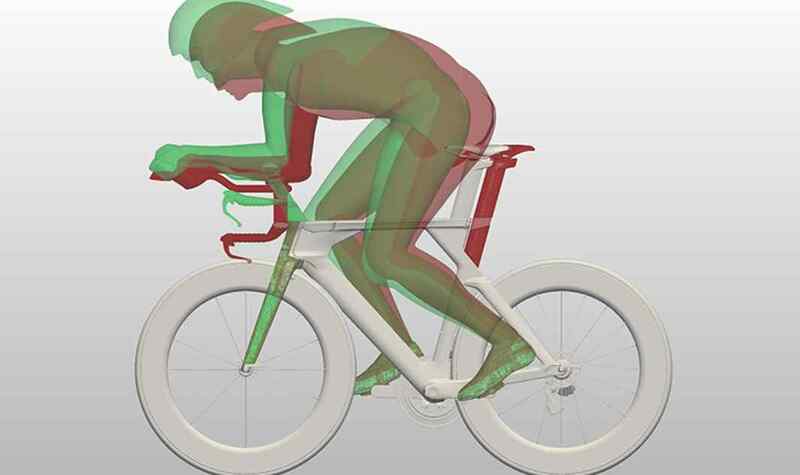 Throughout the study, standard triathlon and time-trial positions are simultaneously evaluated. 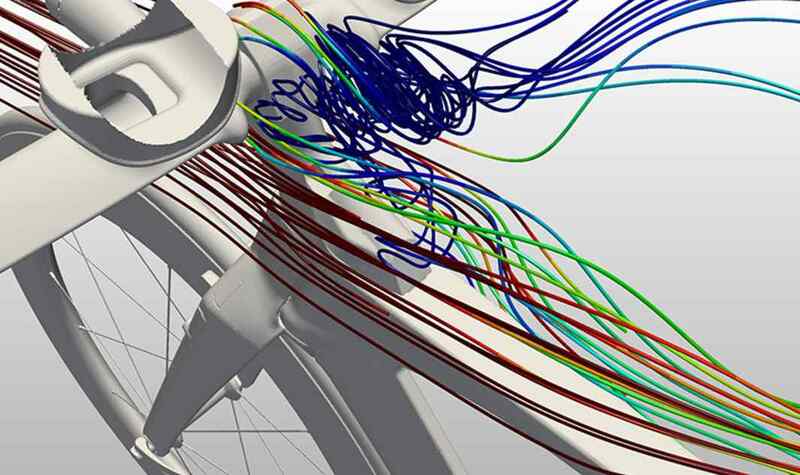 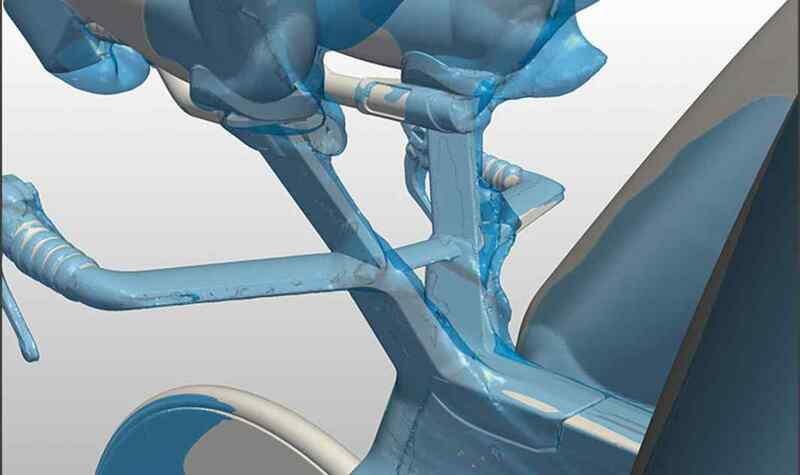 By isolating the sub-assemblies, having a refined mesh and an accurate and precise CFD model in operation, the definition of how all components contribute to the system is calculated for headwind (Cx) and crosswind conditions (Cy). 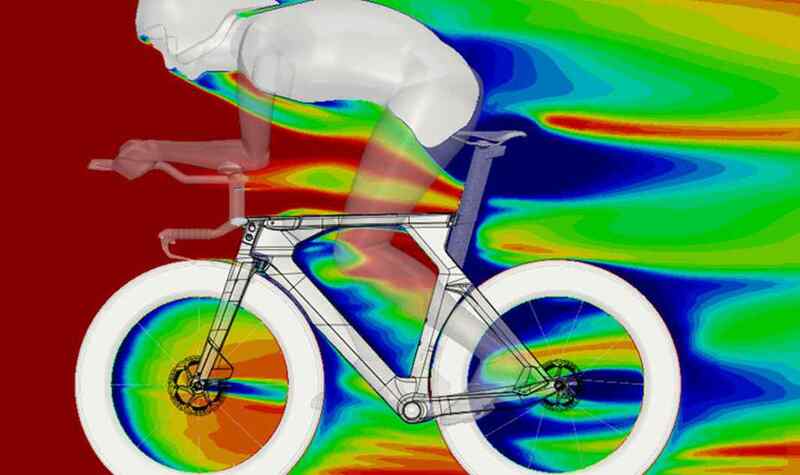 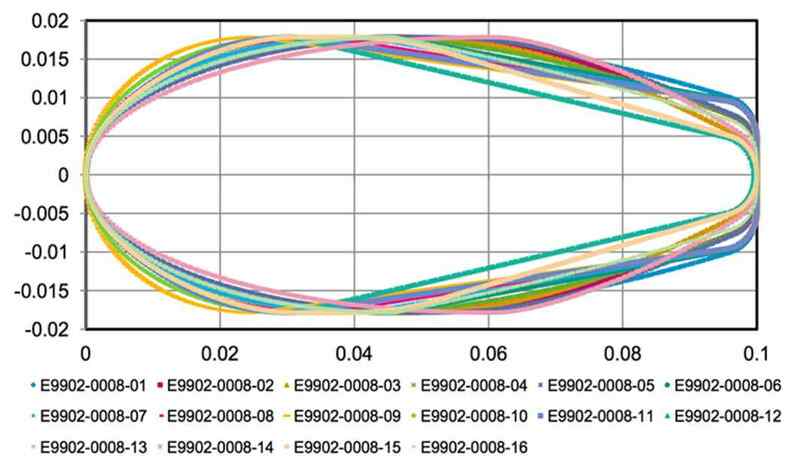 analysis The CFD model is ready, the rider is established, the environment is set – the new bike begins with a tube shape evaluation, using all known parameters. 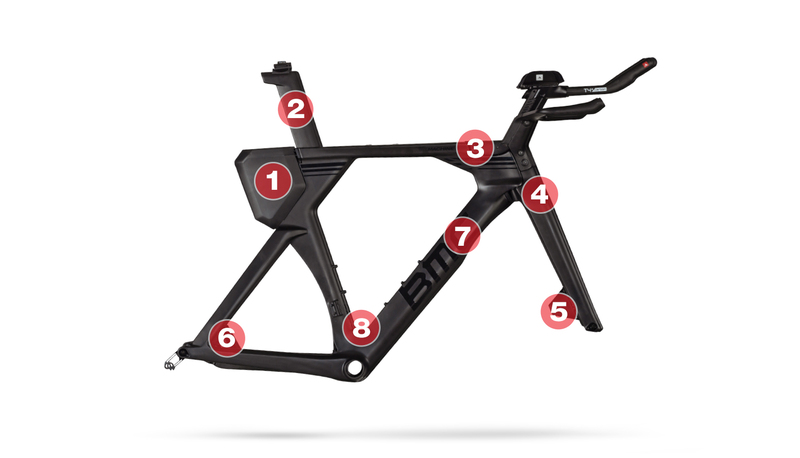 For each frame tube (eg. 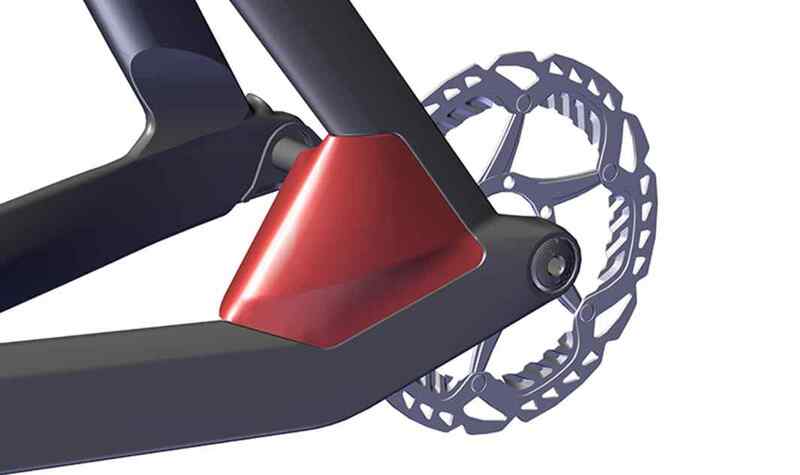 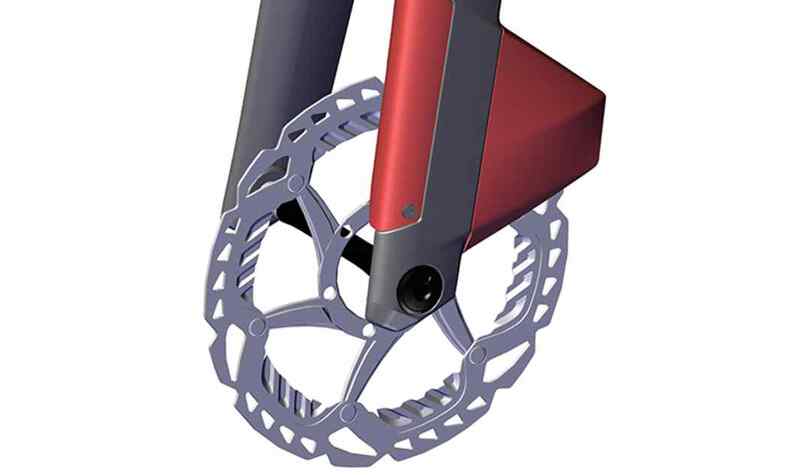 headtube, downtube, toptube, seatube, seatpost, seatstays and chainstays) the system generates 16 tube shape variations tested at 9 yaw angles and two rider positions. 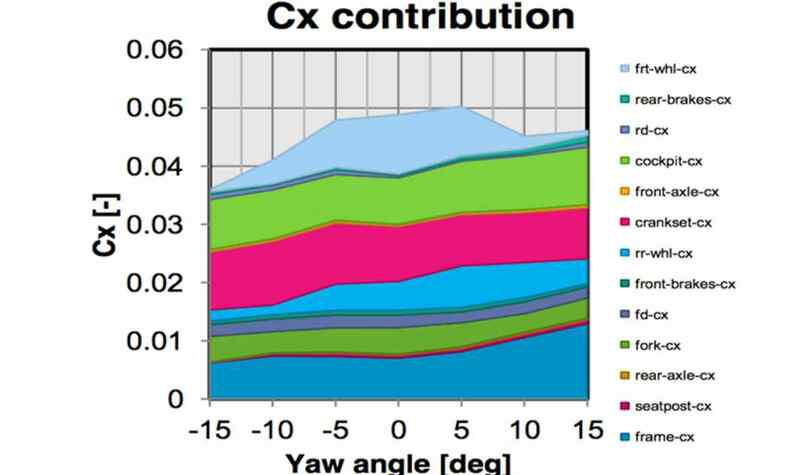 The major goal of the tube shape study was to define the overall best performing combination of shape for Coefficient of Drag in headwind (Cx) and crosswind (Cy) conditions. 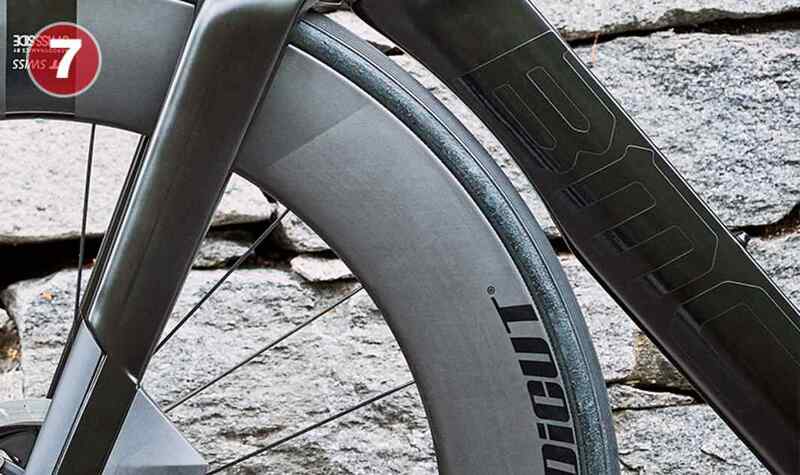 Understanding how hydration accessories and their placement affects aerodynamic performance, leads to specific downtube and seatube profiles, with two- position mounting options for the downtube. 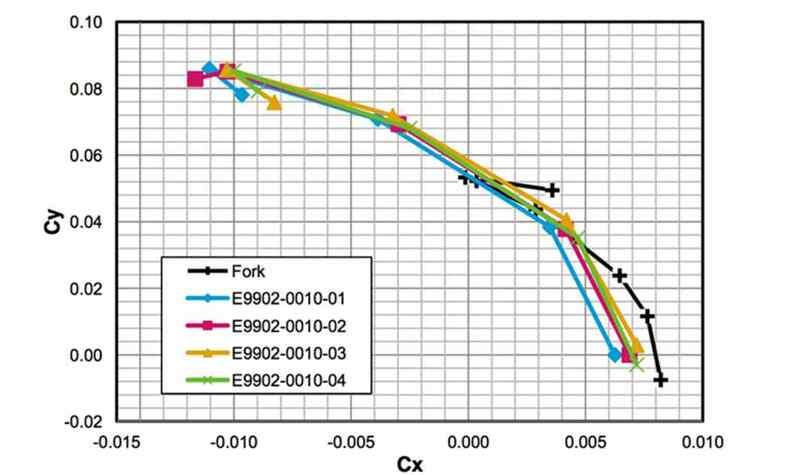 Storage impacts overall aerodynamic performance – the rear-mounted storage box enhances Cx performance without a sacrifice in Cy, even at extreme yaw. 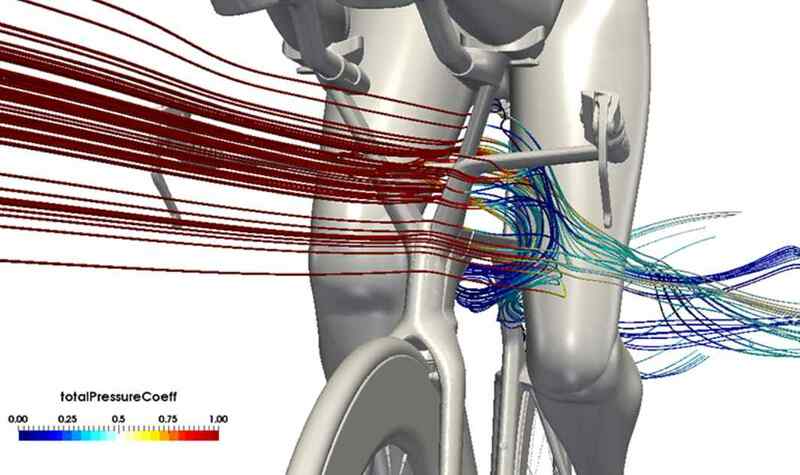 From the tube shape study it was learned that higher arm pad stack conditions of most middle and long-course triathletes presented a new challenge. 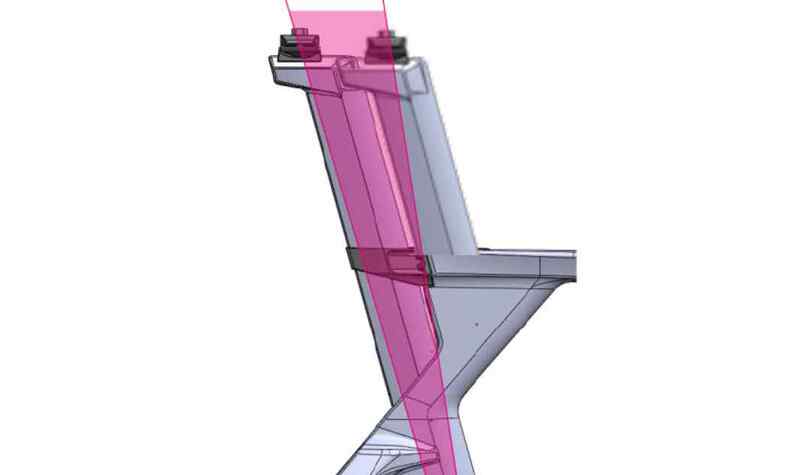 With taller stack height, the torso and legs are exposed, causing a back-pressure and contributing to increased overall drag. 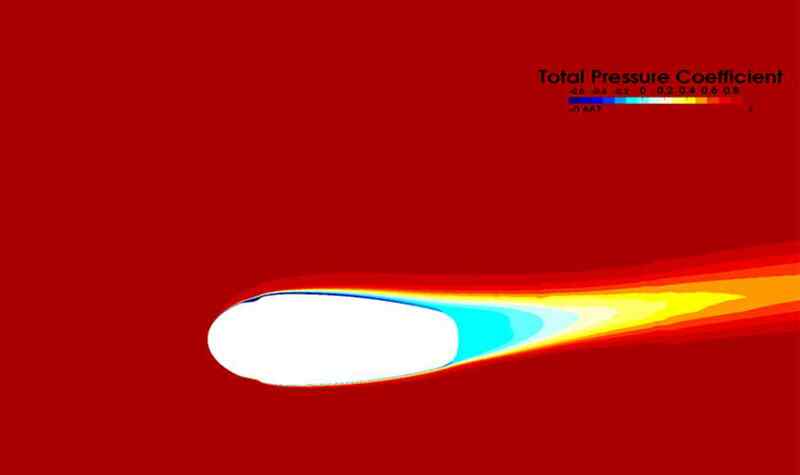 Additionally it was observed that a disproportionate amount of turbulent airflow was created. 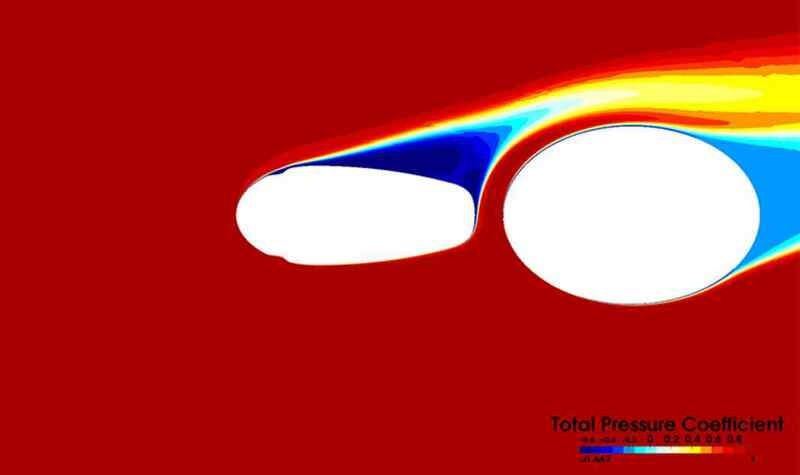 Engineers and aerodynamicists worked together to formulate a system to minimize these effects – the end result is the patented V-Cockpit. 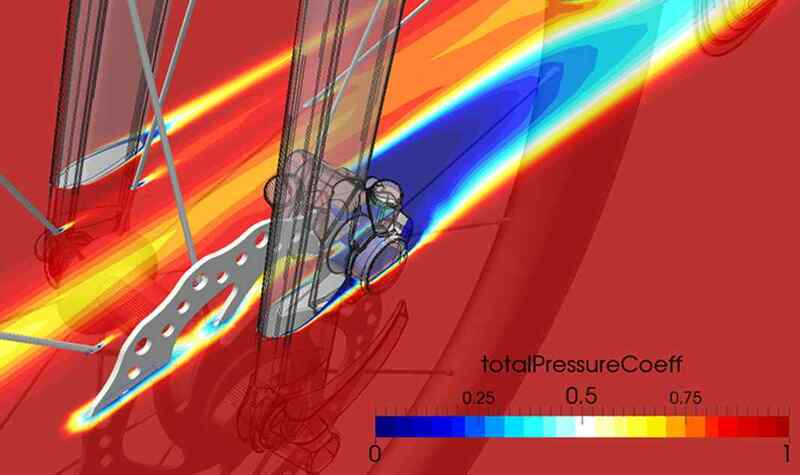 With cleaner air moving rearward and a decreased pressure differential the result is more free speed. 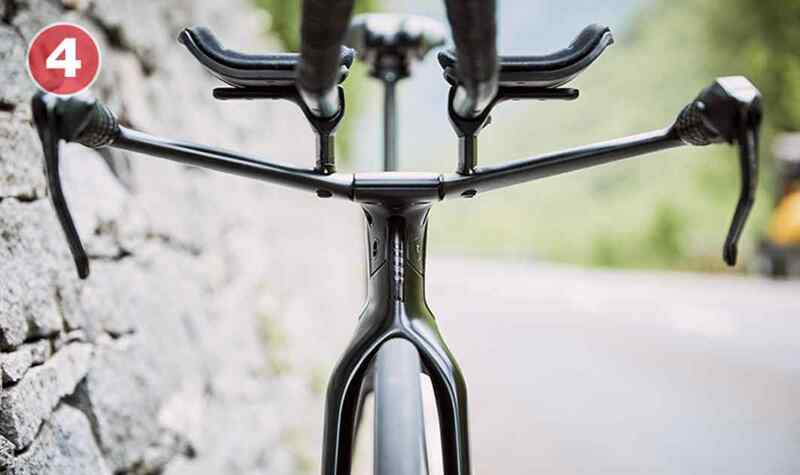 In addition to aerodynamic performance, the forward offset promotes enhanced vertical compliance – the optimal balance of performance and comfort. 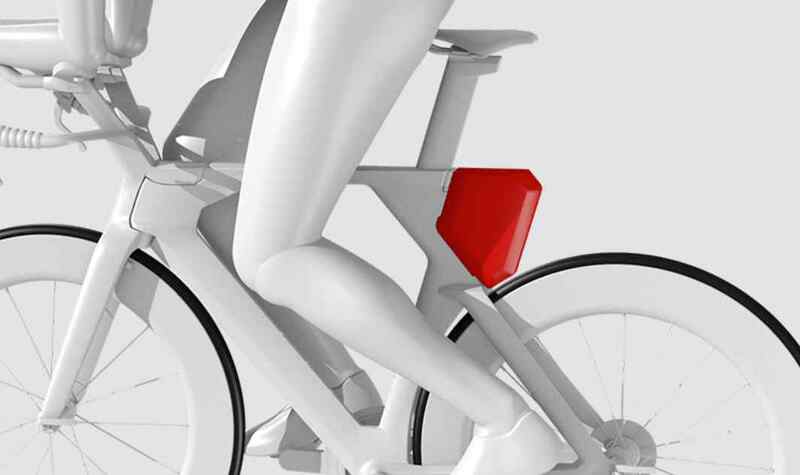 WHY: The Flat-Cockpit offers the maximum aerodynamic advantage, letting riders the lowest possible pad stack configurations.
! 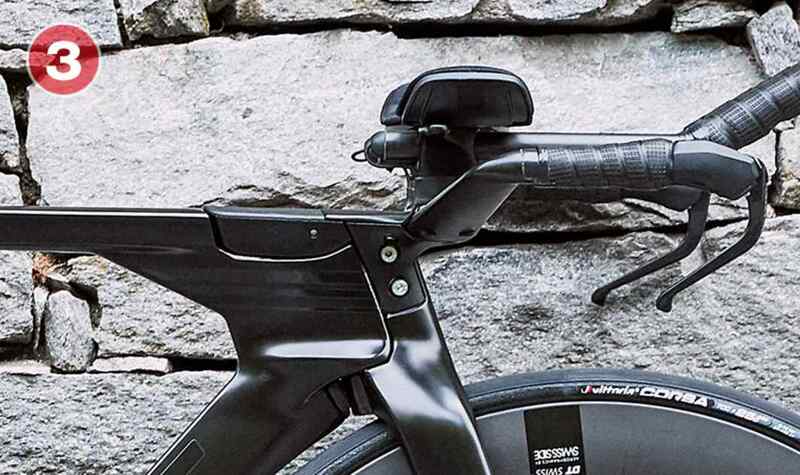 Due to the forward offset orientation, the V-Cockpit may exceed UCI regulations for allowable cockpit length ! 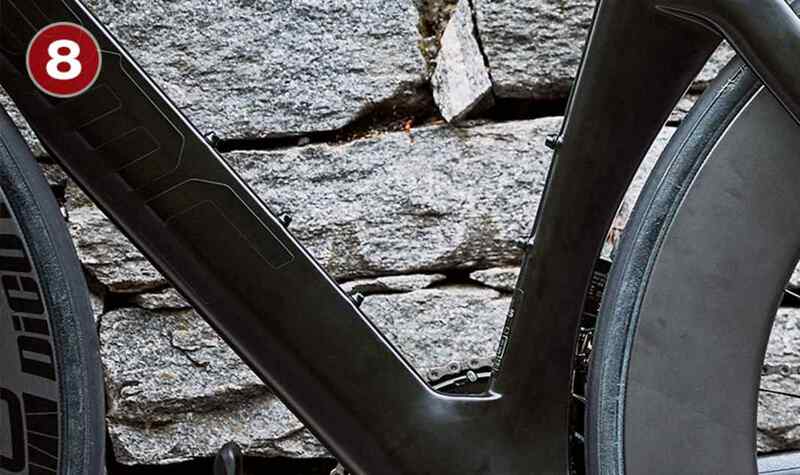 A slippery-fast frame is a good start – but adding a versatile, aerodynamic positioning system for the rider breaks records. 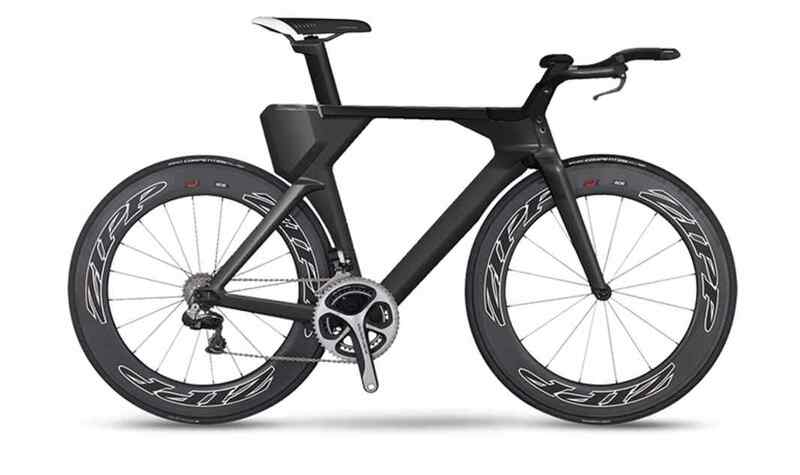 The refined Position-to-Perform (P2P) system lets triathletes find their ideal contact points without sacrificing aerodynamics, no matter how aggressive or conservative their frontend position. For riders seeking straightline speed, predictable crosswind stability and industry-leading integration, look no further – this is the bike for races against the clock. 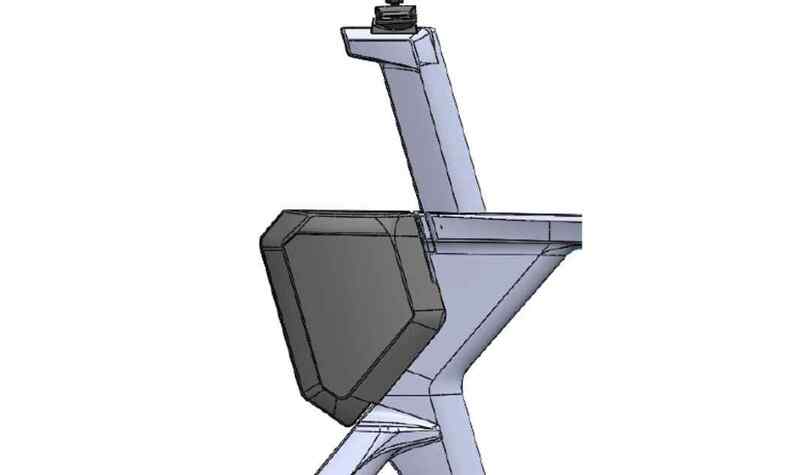 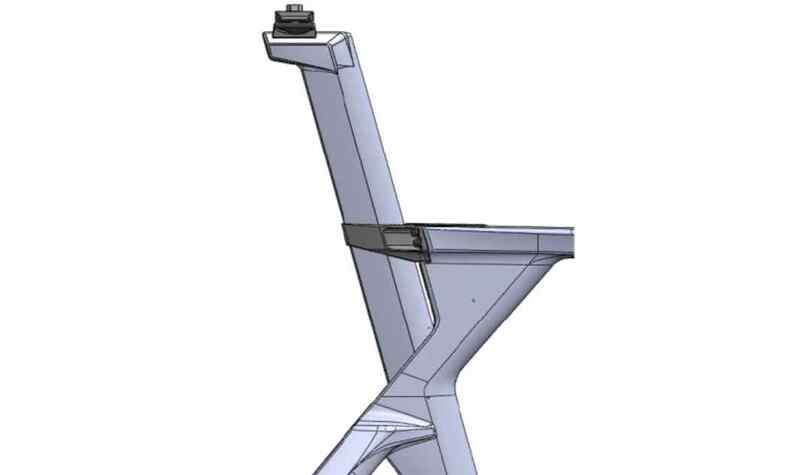 The Flat-Cockpit base bar can be mounted in 2 positions, pointing downward or upward. 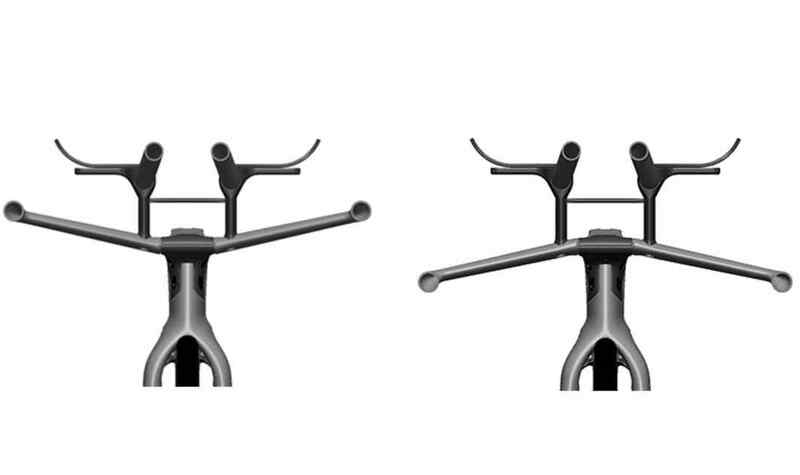 The driving parameter to choose your position is the base bar altitude – depending on the combination of your discipline, riding style and pad height. 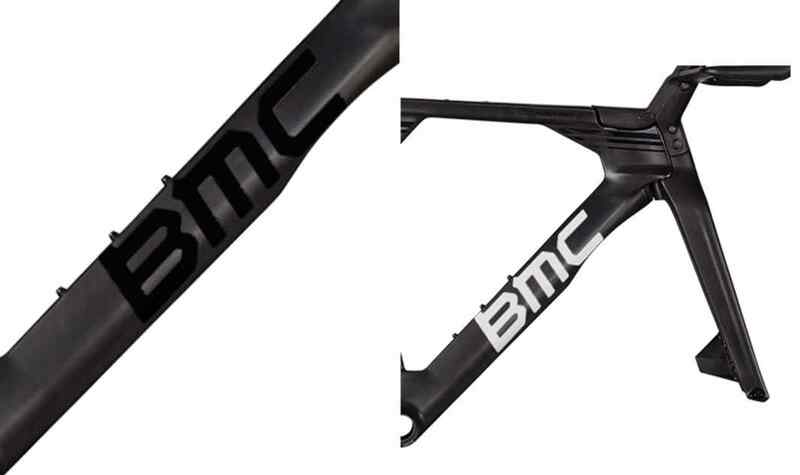 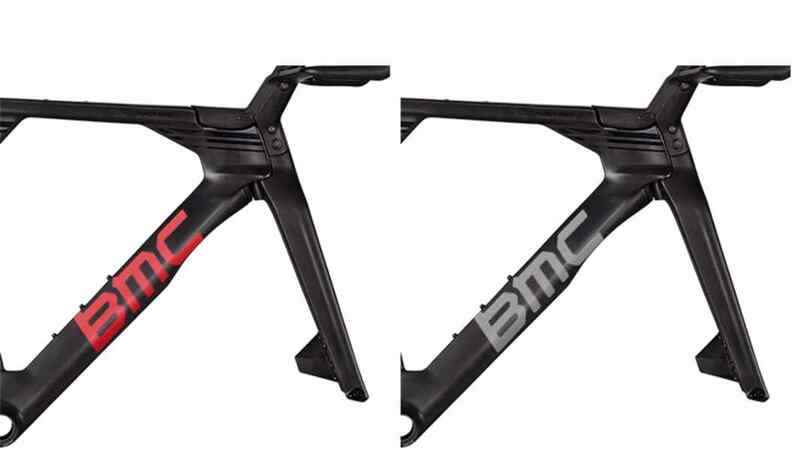 The difference on base bar altitude is 80mm between the 2 positions. 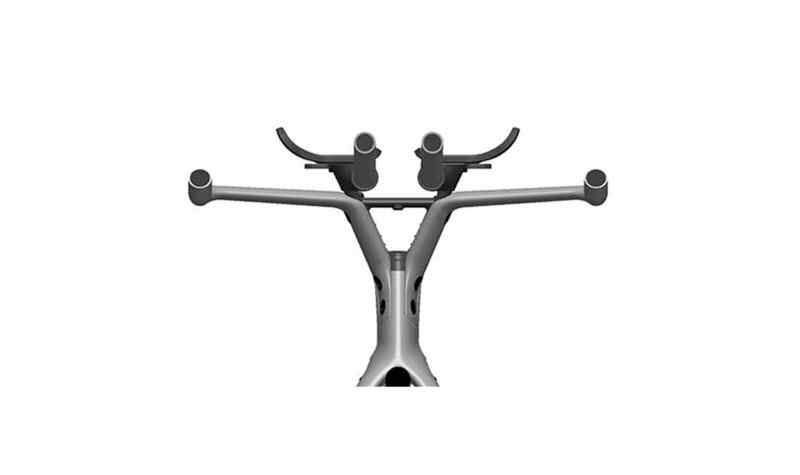 The seatpost has 2 mounting positions (patent pending), with multiple hardware mounts – totaling 124mm of possible fore-aft adjustment.